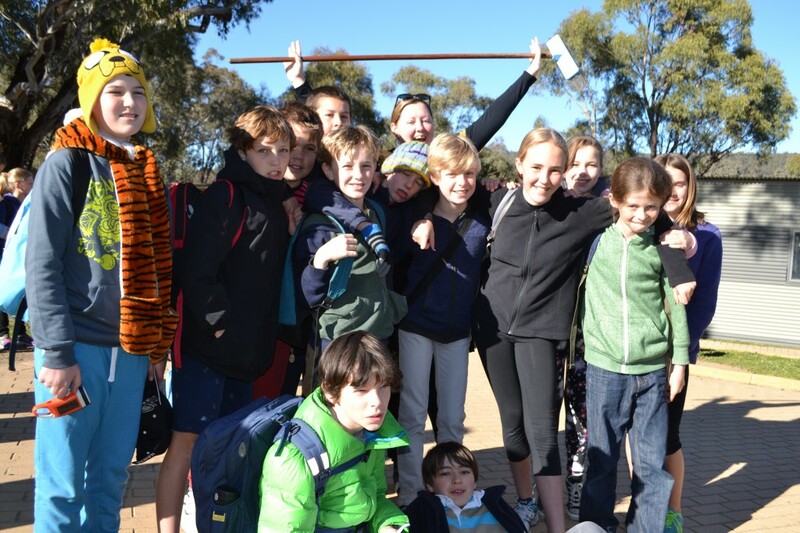 Our final day in Canberra began early with a cabin clean up and packing the bus ready for home. Our first stop for the day was to Questacon. This was definitely a highlight of the whole trip – an amazing building with so many fun and exciting activities to offer – we could have easily spent the whole day there. 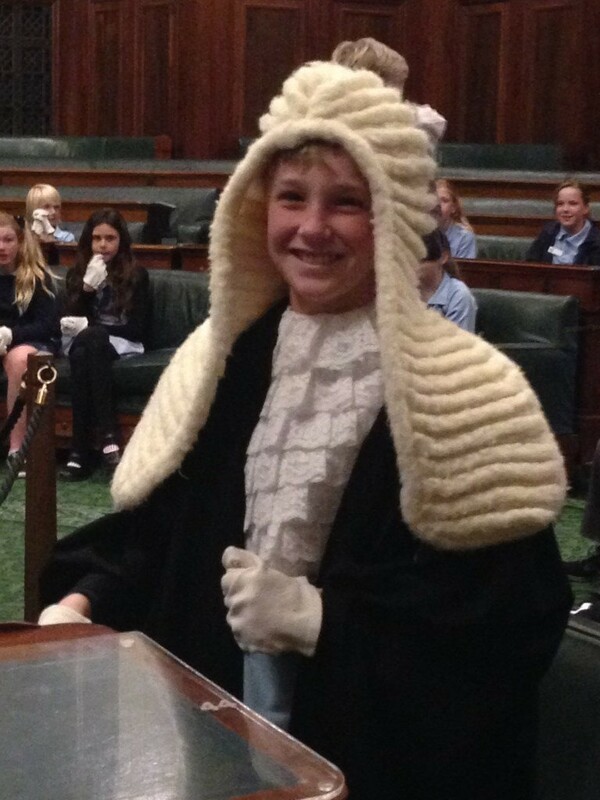 Next we headed to the Electoral Education Centre at Old Parliament House, where students participated in some hands-on and interactive tasks about voting and the electoral system. We even conducted our own little election. Our final visit was to the National Art Gallery. We were taken on a tour of this beautiful gallery and learnt about some of the amazing artworks. A highlight was seeing Jackson Pollock’s Blue Poles. After our Macca’s dinner stop it was full steam ahead to Tighes Hill! As you can imagine, by the time 9pm came we were all completely exhausted. 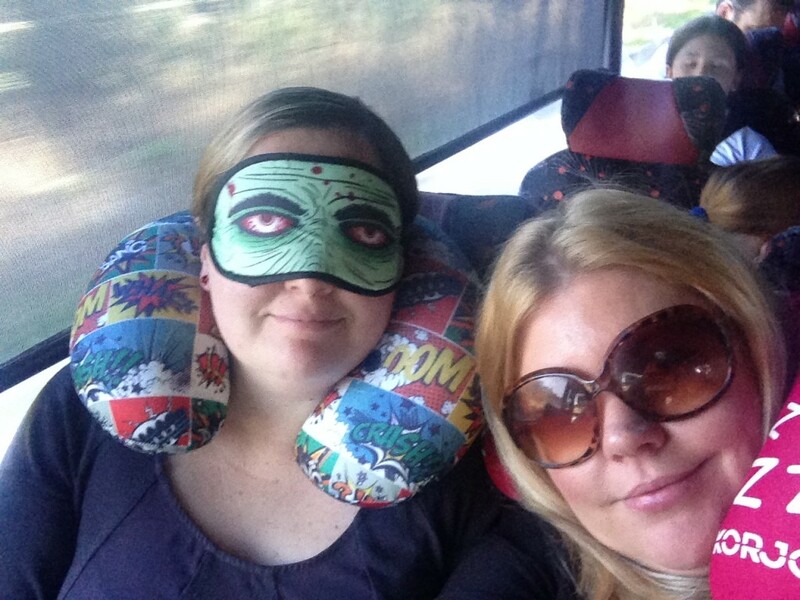 Well done to everyone for making this excursion so much fun and such a success. Enjoy the rest of the holidays and see you in Term 4! Our day began early with a visit to the Australian War Memorial. In small groups, students were taken on a tour and learnt about all the different aspects and history of the War Memorial. Some of the highlights were visiting the tomb of the unknown solider, the wall of remembrance and the light and sound shows. Students were able to place their poppies which they made at school in the tomb of the unknown solider. I was so impressed by how well our students conducted themselves, showed respect and represented our school with pride. 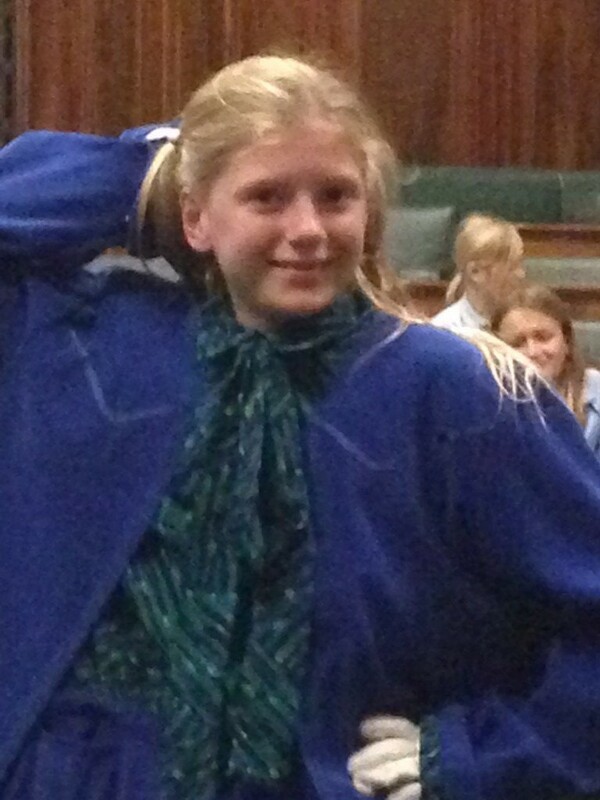 We then visited the Museum of Australian Democracy at Old Parliament House where students wore some white gloves to explore historical artefacts and learn about the history of federation. Next we headed to the CSIRO. Students got to participate in a variety of hands-on science workshops and also got to watch a 3D film. After a long day it was time to return to camp. Students enjoyed dinner and then rugged up for an evening visit to Telstra Tower. It was absolutely freezing at the top of the tower but the amazing views of the city was well worth it. 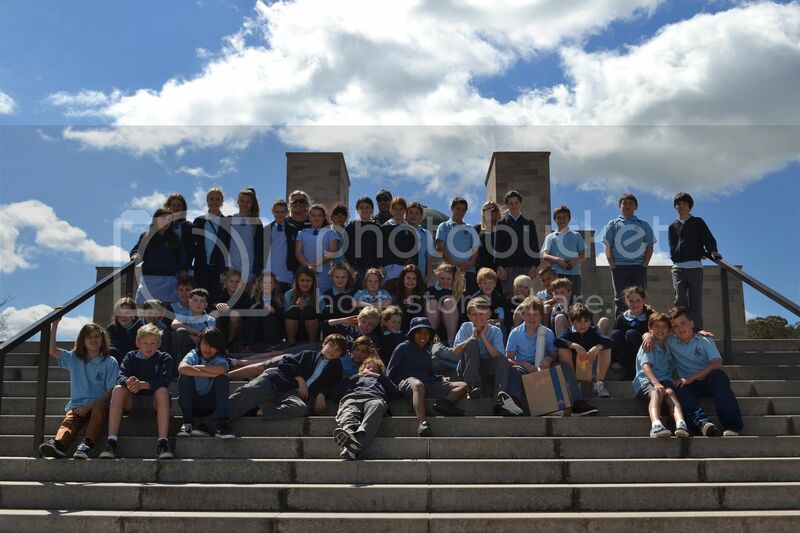 After a couple of comfort stops and lunch in the Rose Gardens, our first Canberra activity was a visit to Parliament House. Before our tour, we visited the roof to check out the amazing view. We were then taken on a tour by a lovely guide named John, who shared his wealth of knowledge with us and answered some excellent questions from students. 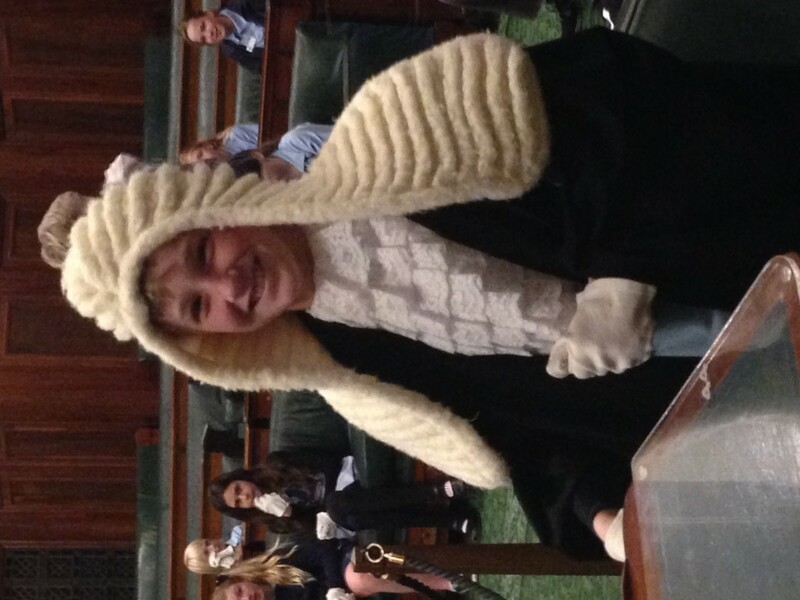 At the end of the tour we participated in a parliament role-play (video below) where students certainly got into character! 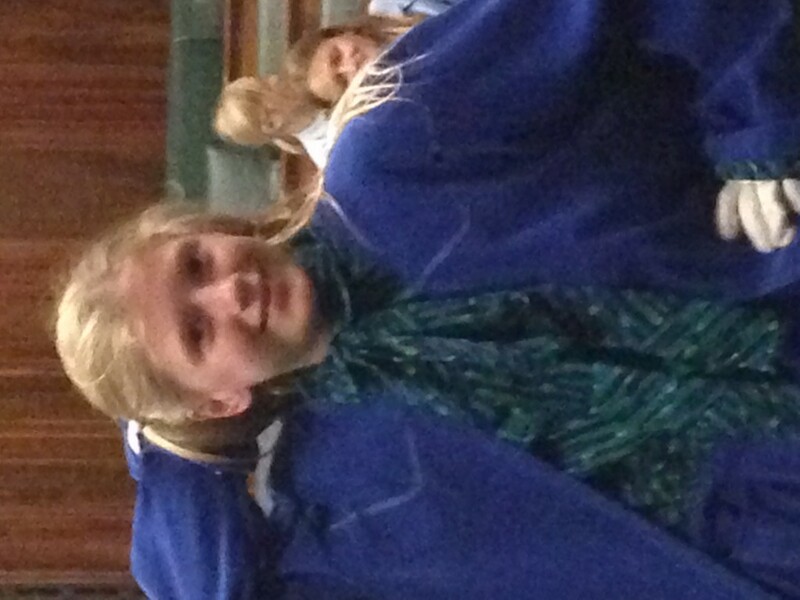 When leaving Parliament House, some of our group made a beeline for the camera crew who happened to be filming outside. The students were excited to meet and get some photos with Seven political reporter Mark Riley. I wonder if we made the 6pm news? It was then time to set off for our accommodation at Camp Cottermouth. After settling in and enjoying dinner and dessert, it was time for Games Night – organised by the one and only Mrs Bowman. Students got into groups of 5 and selected 1 team member for each cryptic clue given: most fashionable; the strongest; the bravest; biggest mouth; and most wrapped up in themselves. Each clue corresponded to a challenge to complete – the strongest took part in a ‘plank-off’; the biggest mouth had to eat a dry weetbix; the bravest had to blow up a balloon until it burst; the most fashionable had an outfit and accessories designed for them out of newspaper and the most wrapped up in themselves had to make themselves into a mummy using toilet paper (the video below is priceless!). Bonus points were also awarded during 2 dance-offs. Once all the toilet paper and newspaper was cleaned up, it was Milo and biscuits for supper then off to bed! 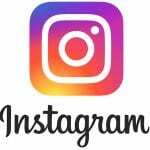 Stay tuned for the next post… Day 2! Today at recess we held our OC Book Club. 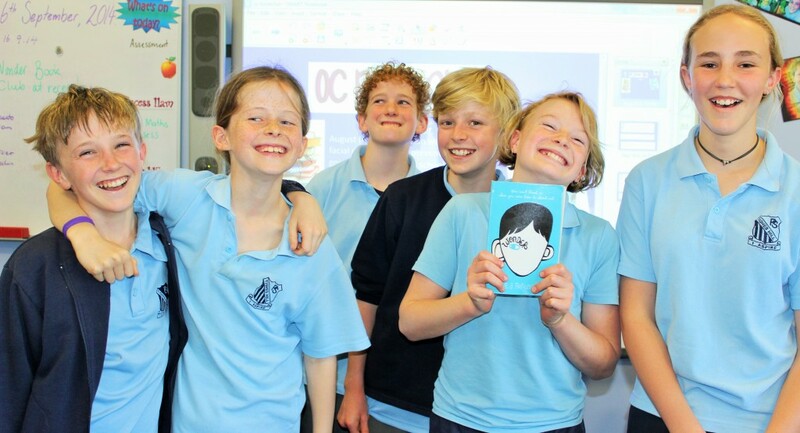 Well done to the students who participated by reading our September book – Wonder by R.J Palacio. We had a terrific discussion about the themes and issues raised in the text and also shared recommendations of other books students have been reading. We will meet again in Week 4 next term for our October book – The One and Only Ivan by Katherine Applegate. 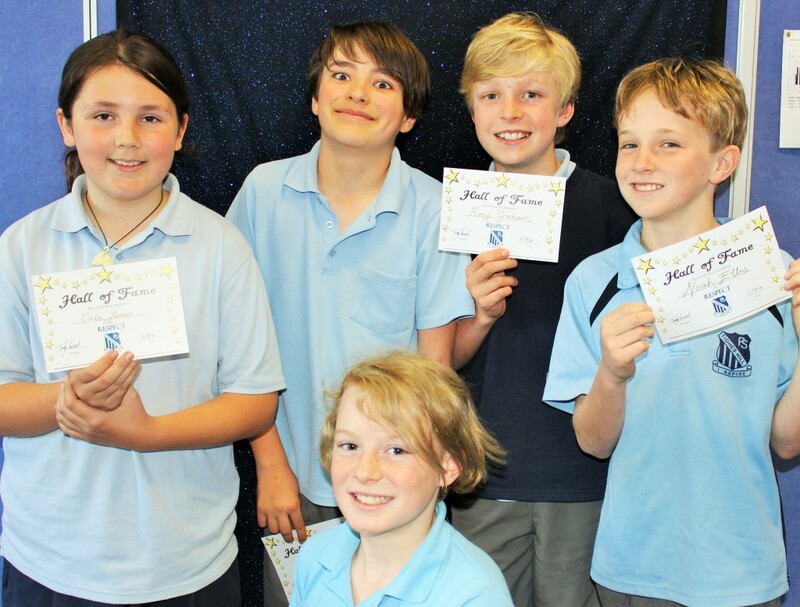 Congratulations to our students who achieved 5 Mastery – Respect ribbons this term. Today we had our second Hall of Fame assembly and recognised Noah, Rory, Eva, Nelson, Louis, Cala and Dayna for their achievement. Look out for their photos downstairs in the Hall of Fame. 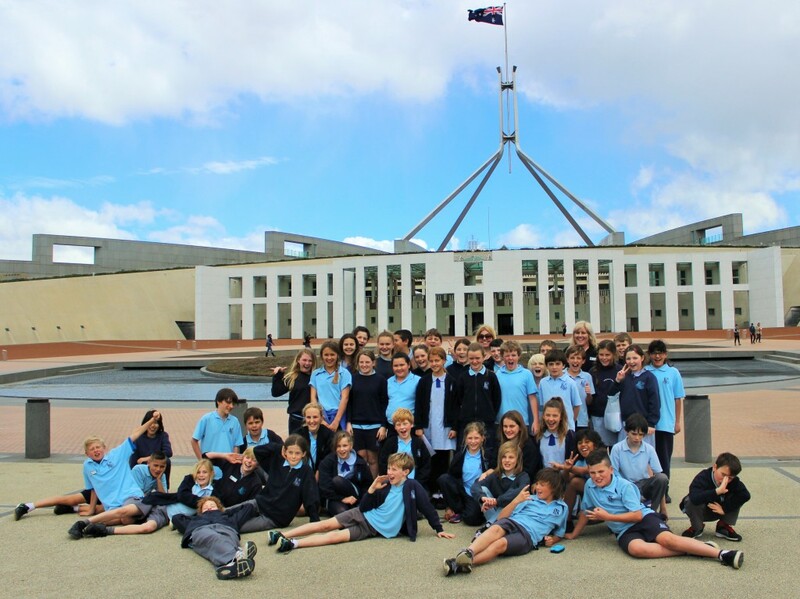 Only 1 week to go until our Stage 3 Canberra excursion! A final reminder note was sent home earlier this week. A copy is also attached below. Any questions or concerns, please see me before next Wednesday. Looking forward to a great trip! Today our senior students received a treat from staff at Callaghan College Waratah Technology Campus, as part of the taster lesson program. Students took part in a vigorous crossfit training session where they had to complete a variety of exercises including squats, burpies, a run, push-ups and skipping. We then participated in a visual art lesson that involved using a wooden block, wire and foot stocking to create an interesting sculpture. A big thanks to Mr McGavern and Miss May for joining us today and providing fun lessons for our students. Today the OC attended the Science and Engineering Challenge Day at Kahibah Public School. This event is certainly a highlight of the year, with students participating in a variety of engaging and hands-on challenges. Students demonstrated excellent team work skills whilst taking part in activities including electra-city, Mars buggy, puff puff car and water works. As you’ll see in the photos below, we had a terrific time and definitely have some future scientists and engineers among us! Below is a short clip called “What is Engineering’ which was shown today to help give students an understanding about the different types of engineering. Thanks to everyone who has brought in their money and some donations for this year’s fair. Just a reminder to have your money in by tomorrow so that fair tokens can be made. If you are yet to donate anything, we are still in need of drinks, cakes and ingredients for the pizza stall like pizza sauce, Lebanese bread and grated cheese. Thanks for your support and looking forward to Friday!